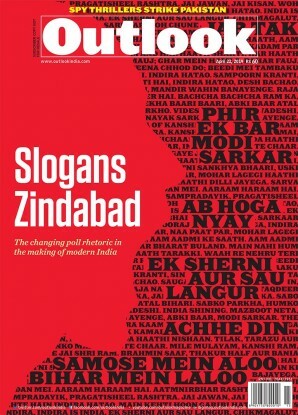 Home » Magazine » Society » What Does Madras Bleed For? Geeta Doctor	September 01, 2014 00:00 IST What Does Madras Bleed For? From the air, Chennai—or old Madras—presents itself like a box of Diwali sweets waiting to be savoured. There are houses in cochineal pink, or ‘muttai pink’ (candy pink), as the colour is described, in iridescent greens, indigo blues, Gold Spot oranges, citron yellows, deep purples and many in combinations of one or two of these colours. The colonial whites, the creams, the deeper municipal ochres on the walls have all been replaced in places where the government fiat runs by marshmallow pinks. 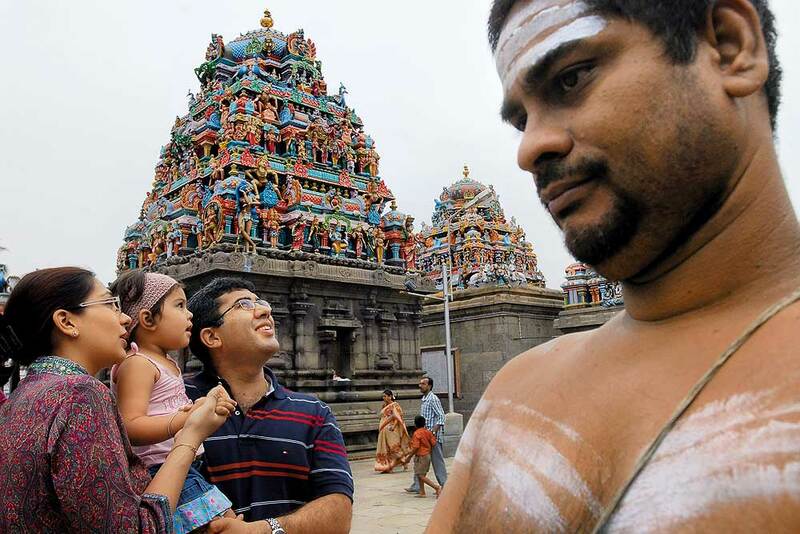 Chennai has now become a rainbow city of many different people, speaking in many tongues. You no longer look for the familiar signs of caste and community affiliations that once upon a time people wore proudly on their foreheads and wrapped around their waists to proclaim their sense of belonging. You no longer believe in the old Tamil saying­—“Every town is our hometown. Every man is our kinsman”—but glare suspiciously at the outsider and ask: where are you from? There are enclaves now that are billed as ‘Little Korea’ and ‘Greater Japan’; sushi and khimchi are sold in supermarkets; less affluent pockets shelter the young men and women from the Northeast who find jobs in beauty parlours and restaurants trying to parlay their few words of English into recognisable sounds, “You want cold tea with Rhyme juice? No have Rhyme today,” even while others call them “chinky”. There are Thai massage parlours, Indonesian or Balinese spas, foot reflexology centres; and, just as macabre given the number of medical specialties that are on offer at the mecca of modern medicine that is now Chennai, discrete home-stays for the recently dead who may not have survived their treatment i.e. funeral parlours for different communities. As seekers of old Madras (which turns a full, ripe 375 years this month) reach deep into the ann­als of the city’s past, pecking at the crevices of history like woodpeckers in search of grubs, what choices are there for the average citizen of Chennai? The City has been gridlocked by progress. It’s currently being laced together by a steel and cement network of raised rapid transit systems of rail and road, tied into knots by the multiple arms of burgeoning flyovers. In a recent episode reminiscent of the more acrobatic efforts of those performing the ‘lungi dance’, a couple on a motorbike collided on a curve of one of the older flyovers (the Adyar flyover) and tragically, in the case of one of them, landed in a hospital; the lady, being more lucky, fell on the roof of a vehicle below, whereupon, in the best of film traditions, she fled the scene. Police sirens provided the background music. Do you search for that perfect steel tumbler of decoction coffee or head for the latest counter at Starbucks and lick the froth from a global brand of the same stuff? Is this why this year’s Madras Heritage Week has seen a veritable explosion of exploratory walks along the dangerously eroded edges of the River Cooum that snakes its sulphurously perfumed sludge through parts of the city; is that why there are talks about the great and the good and group activities and performances that go way beyond the modest beginnings of what was seen by some as a retrograde hankering for a vanished colonial past? There are now over 150 separate events crammed into one week. Most of these are well attended, even if sometimes the participants seem to be of a certain age group and class. “Yes, it was all very much to do with nostalgia,” explains V. Sriram, the energetic co-convenor of Madras Heritage Week. An entrepreneur and writer who has written eloquently on south Indian music traditions, he leads groups of people around the narrow streets and bylanes of Georgetown, once known as Blacktown, or the inner city that serviced the White Town or colonial Madras, next to the what-is-now-called the Fort area, and incidentally still very much the centre of power. The Tamil Nadu government is located here since successive political leaders, while talking about finding a more suitable arena, have never been able to make a decisive shift to another location. “But it is no longer a maudlin exercise,” Sriram insists. “It has become a celebration—warts of the city and all. Many presentations and talks focus on the positives and negatives of the past and present. The younger generation has taken to it in a big way by bringing in technology—photo shoots, tweets, FB posts, Flickr and Instagram images, mobile apps etc. They think it’s an opportunity to showcase the city in all its glorious colours.” It is still restricted to a small community, but no longer just an English-speaking one. The ratio of English to Tamil events is now 70:30, which is a good mix considering the city itself is cosmopolitan now. It’s also a completely voluntary event without any official sponsor. The very fact that Tamil media is focusing attention on it is a very big sign of change. No right-thinking person would accuse the Dravidian movement of having run out of steam. Why, even as recently as a few weeks back, when a well-respected judge was turned away from attending a book release function at one of the older clubs run by the Tamil Nadu Cricket Association because he was wearing a white dhoti, or veshti, all the Dravidian parties roared their displeasure. The “sartorial despotism” was seen as a hangover of the colonial era and rou­ndly denounced. With almost immediate eff­ect, a judicial order was passed. Fines amo­unting to Rs 25,000 would be levied on any dissenting club official; office-bearers would face a one-year sentence in jail and the licence of the offending institution can­celled in the more extreme case. Cer­tain clubs were left bleating that the only reason to uphold the pants against the dhoti was to avert what they called “a wardrobe malfunction when in an inebriated condition”. In this context, it’s curious to note that outside certain Tamil Nadu temples there are signs that say, ‘No wearing of lungis.’ We cannot even imagine what this might mean, unless the discrimination is against the wearing of the colourful variety of woven lungis, the checked and striped designs that were once famous in the region as ‘Madras Checks’ or even Bleeding Madras, a term that became fam­ous in the mid-20th century as exemplifying a fabric, where the colours would be guaranteed to run and therefore satisfying a certain segment of the North American public who sported shirts and dress materials of the same. Maybe some of these temples, conscious of these facts, would not want wearers to enter their precincts wearing ‘Bleeding Lungis’. There are two ribbons of intense architectural activity that lead out of the city towards the south. One of them is called the East Coast Road (ECR): it abuts the sandy coastline of the Cor­omandel coast and boasts of the enclaves of the upwardly mobile, the city’s own Chennaifornians, each with at least one swimming pool. The other parallel highway, further inland and separated by an artificial riverway called the ‘Buckingham Canal’ for transporting food and goods in the days of the Raj, is the Old Mahabalipuram Road (OMR). Both link Chennai, symbolically perhaps, to the old Pallava seaport and now the major tourist destination of the south. OMR is where Madras that was Chennai becomes the Electronic City, neither middle-class, nor Brahmin, nor Dravidian but netizens of the world. They come alive during different time zones, inhabit faceless condominiums and commune with each other in sound bites and eat their chop suey while sitting cross-legged on ergonomically designed chairs. They belong nowhere and everywhere. 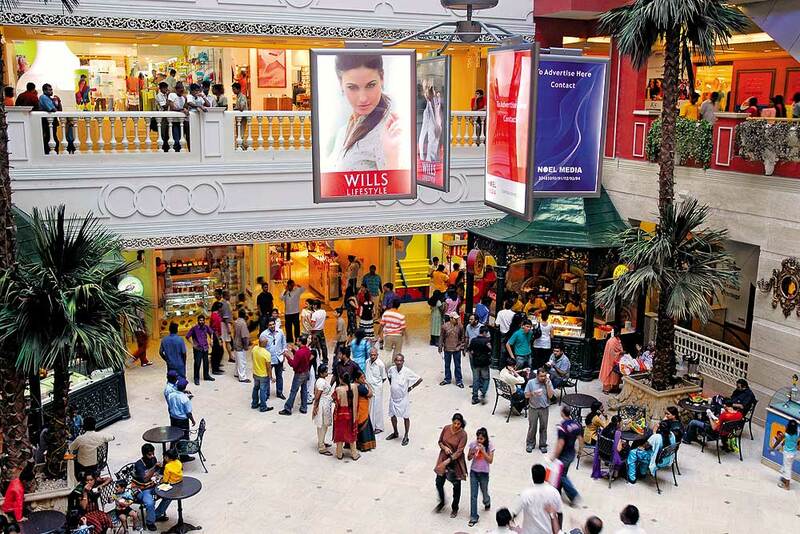 But Chennai still frequently comes up as the top city in magazine surveys and opinion polls. So, is there a Chennai model of development that has not been noticed in the clamour for political mileage? “There is a model that has never been talked about,” says business journalist Sushila Ravind­ra­nath, who is researching a book on how the perception of Tamil Nadu has changed after liberalisation. “It is about social reforms, combined with development. We thought of noon meal schemes, reservations, private engineering colleges, healthcare way ahead of others. Enterprise flourished quietly. The Namakkal poultry industry is just one example. Comm­unities like the Gounders and Nadars (traditionally farmers or land-owning communities) helped each other set up enterprises. They have rarely been been celebrated like the Marwaris,” she says. Madras being the capital of the Madras Presidency whose footprint extended to all the four southern states, the foundation had been laid for it to take off after independence. Once India opened up, there was no holding back. But business practices continue to be low-key, often family-run, until very recently. They do not take major risks, for which reason there has been little labour unrest in the state. While innovation has taken place at a comparatively rapid pace in the IT industry as evidenced by the booming development on Chennai’s IT highway, the OMR, it’s lagged behind in areas like telecom, petrochemicals. Amongst the groups of Chennai citizens looking at the past is one that is planning to celebrate the ‘Living Statues’ that line the Chennai beachfront or the Marina Beach, the second largest sandy beach in the world as the visitor is often told. Poets and writers have been invited to recite the poems of Thiruvalluvar, Subramania Bharathi, Bharathi­dasan and others. Statues are a popular form of public art in the city, painted in gold and mounted on pedestals at various traffic roundabouts (now public urinals with graphic signs on their swing doors are proving to be a minor competition). It’s extraordinary to find the number of famous women who have made it to pedestal glory. If not for the feisty image of Kannagi flinging her golden anklet filled with rubies at the throne of the King of Madurai, there are images of the old poetess Avaiyar and of Annie Besant to remind us of the role played by women who have stamped their feet, either in anger like Kannagi or in the spirit of dance like the incomparable Rukmini Devi, founder of Kalakshetra and the gentrified, classicised version of the old dance form now rechristened as Bharatanatyam, or the iconoclastic Chandra­lekha who, defying conventions, used them to turn the dance world on its head and live again with the fire of the martial arts. Chennai too, at 375, is trying to live again. It is rewriting its history while reaching out to the next phase of its journey. The Chennai Express rolls on.